Jaimee is an important member of the Spratt Financial Team, handling duties at reception, greeting clients and performing administrative tasks that keeps our office running smoothly. With her help, our clients can receive the great service they need, and they can always rest assured the team is free to focus on their financial needs. 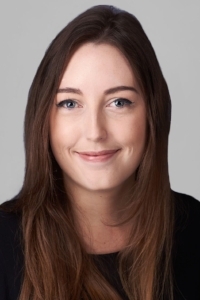 Jaimee's responsibilities at Spratt Financial Services include greeting visitors to the offices, administrative tasks that streamline our procedures and services, directing client enquiries and managing the needs of both clients and staff. Jaimee is extremely enthusiastic and capable and is always willing to help. If you have questions about our operations or any aspects of our insurance services, you can contact the Spratt Financial reception anytime at reception@sprattfinancial.co.nz and she will be happy to help.